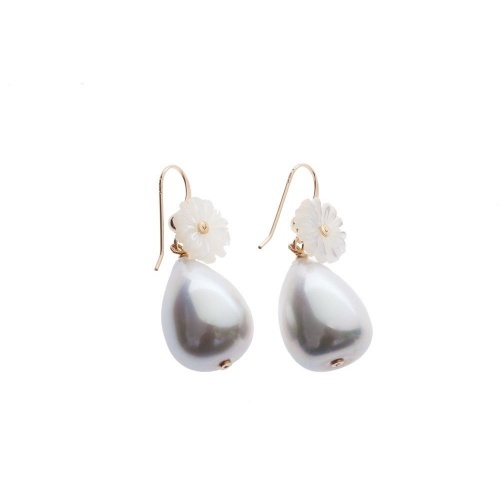 Pendiente con gancho de Gold Filled, perla esmaltada de Mallorca y flor de nacar. 55,37 € impuestos no incl. Earrings with Gold Filled hook, enamelled Mallorcan pearl and m.o.p. flower.